Alberto Hernandez has been working with AGAIG since 2005 in coffee production. He has been a good steward of previous loans through As Green As It Gets, and has always shown both a 100% repayment rate as well as good profitability from his investments. Jonny is Alberto’s son, and he is also involved in coffee farming. Unfortunately, this father-and-son farming team has encountered some tough times. Recently, their fields were hit by a fungal infection, and they need some working capital for the year. In June 2017, Spartan Global facilitated a $1,378 through As Green As It Gets to support Jonny and Alberto. The loan will be used to replant coffee crops, as well as provide fungal sprays to prevent future infections. Moreover, Jonny and Alberto will use this loan to purchase coffee from nearby farmers to maintain the sales of their existing business while their own fields recover. 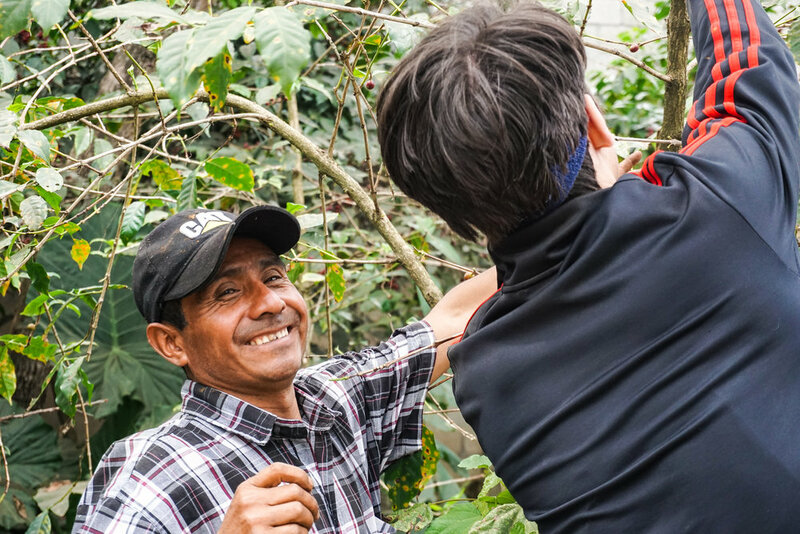 Upon our visit to Guatemala at the end of 2017, we had the chance to hike with Alberto (pictured) to his coffee fields in the mountains near Antigua. While touring his coffee plants, Alberto described the challenges and opportunities of coffee farming. We were able to gain incredible insight about the sheer amount of labor required to be successful.